ABASCO anchor systems keep deployed turbidity curtains in place for optimum containment. 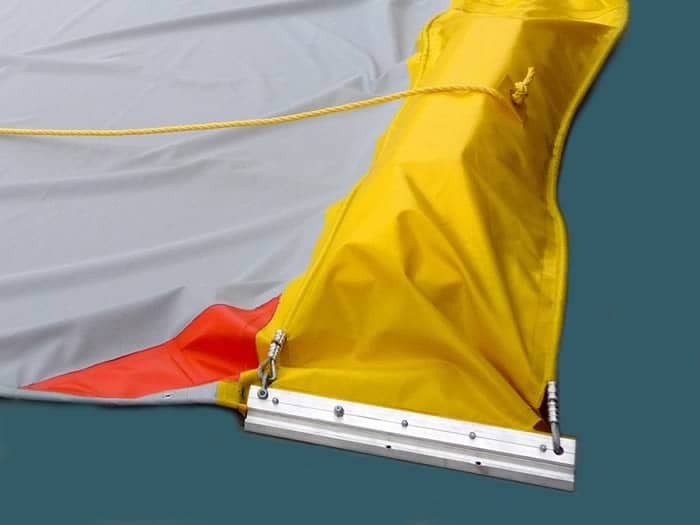 Systems include Danforth-type anchors, yellow polypropylene rope, chain leader, small floats, and hard-shell floats and are customized for each curtain type and application. Items are also available individually. All anchors, chains, shackles, and thimble eyes are galvanized steel. ABASCO understands that there are many steps that go into turbidity curtain installation. There are many factors to consider when purchasing a turbidity barrier. 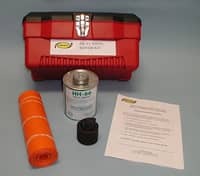 Two types of fabric repair kit are available: a solvent-type kit (left) and a thermal-type kit (right). The thermal kit includes a 110-volt electric heating tool. Both kits include repair fabric, complete instructions, and a storage container. ABASCO rope and stake kits provide secure curtain tie-downs on beaches or river banks. 100-ft length of 3/8-inch or 1/2-inch twisted polypropylene rope has a small terminal float. Stakes are 1-inch-diameter, schedule 40, galvanized, steel pipe with a welded eye. Stakes have a high-visibility red finish. Tow bridles are used for anchoring or towing long, heavy curtain sections. Bridles come in four sizes, from 3 inches to 25 inches, to accommodate all ABASCO curtain sizes. 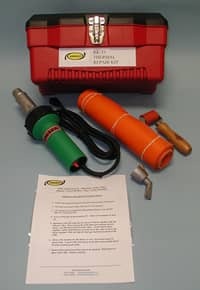 Includes one aluminum connector, ASTM pin, welded doublers top and bottom, and 5/16-inch galvanized aircraft cable. Floats are optional. 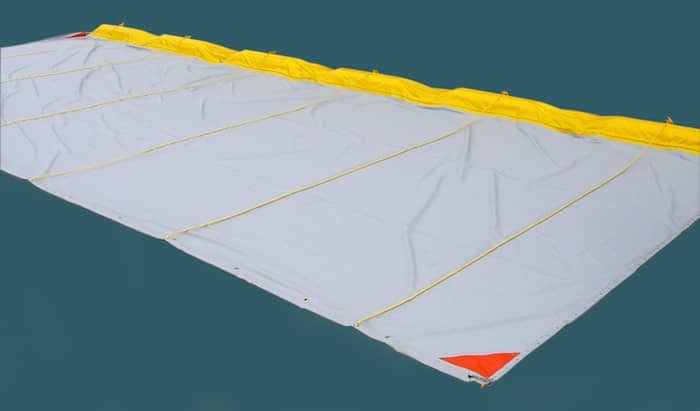 Optional furling lines are used to adjust skirt depth to suit the water depth profile and to lower and raise turbidity curtain skirts for deployment and retrieval.